A growing need to feed people in the community has the Owen Sound Hunger and Relief Effort using new ways to raise funds. A soup luncheon held at the bingo hall downtown on Friday is one of those ways. “This is just new for us and we hope to make it an annual event,” said Peggy Moulaison, director of operations with OSHaRE, adding the reason for the fundraiser is to both raise funds and create awareness about the organization. 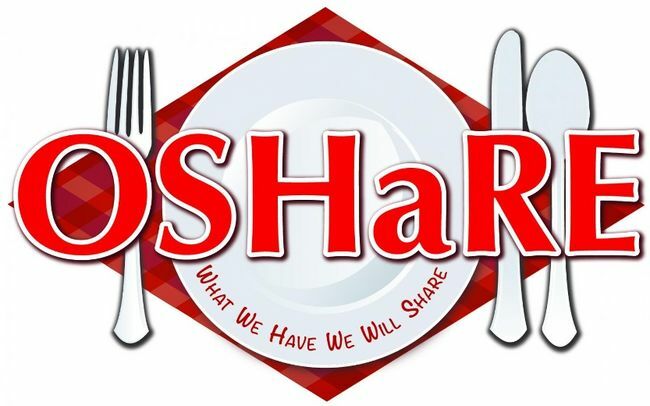 OSHaRE is a non-profit volunteer and donation driven soup kitchen that serves dinners Monday through Friday in the basement of the former Knox United Church, now Harmony Centre, in Owen Sound. Since it started operating in February the number of people it has served nightly has grown from about 40 to more than 100. Moulaison said the committee based their budget on serving between 60 and 80 people a night. The organization’s $105,000 annual budget, which includes staff, groceries, rent and utilities, is entirely dependent on donations. “It doesn’t seem to be slowing down any, so I am not to sure where that is going to take us,” said Moulaison, who added some nights they have actually ran out of food during the dinners, which run from 5 to 6 p.m.
Moulaison said the local heart and stroke association held a soup luncheon for a number of years, but haven’t had one in recent years and she felt it was a good fit with OSHaRE. The event was held at the bingo hall because of it is centrally located. Moulaison hopes to hold the event at the Harmony Centre in the future so that members of the public get a chance to see the facilities OSHaRE uses and get a better feel of what the group is all about. By about 11:30 a.m. on Friday about 50 people were sitting down to a lunch of soup donated by local restaurants, a bun, vegetables and dessert. Moulaison hoped about $2,500 would be raised from the event for OSHaRE, which she said has been getting great support from the community.